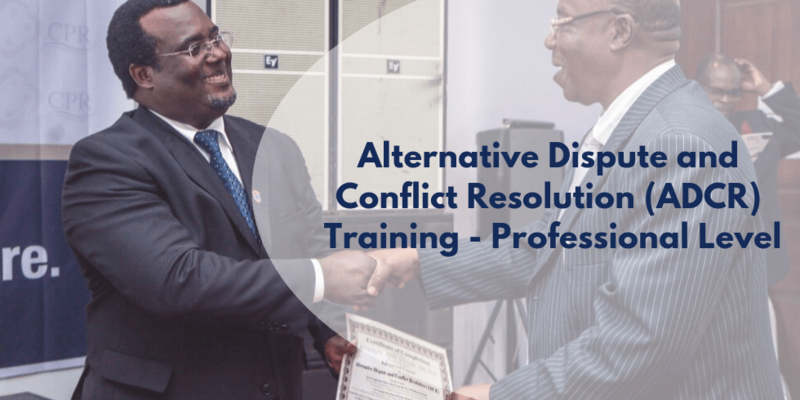 This is a Professional Alternative/Appropriate Dispute and Conflict Resolution (ADCR) Course. Conflict situations often involve strong emotions, strong personalities, deep-seated beliefs and biases. Successful interventions require deep analysis and diagnosis of the conflict situation, a quick decision on the appropriate tools for engagement as well as effective execution of the intervention. The Become a CounsMed Certified Professional teaches from the trenches of techniques in conflict situations by being able to identify which strategy is most appropriate and effective at any given moment during the conflict resolution process. The CounsMed Certified Professional is designed explicitly for people who desire to achieve a level of success and respect for other mediation styles and its applications. People who are prepared to move beyond the confines of evaluative and facilitative processes of mediation to make a difference at their workplace – both in the lives of their mediation participants and in themselves. This course is for those who are ready to move to the next level of awareness and consciousness, grounded in a deeper connection with the participants. This course teaches how the different human Personalities respond in conflict and those experiencing strong emotion process information. This course teaches how to recognize and be able to work with the common patterns of emotion and behavioural reflexes that may thwart resolution, impair constructive decision-making processes and collaboration. The Become a CounsMed Certified Professional course trainees see things differently, they hear things differently and they proceed differently than other mediators who have not had their senses sharpened. This course is just what mediators, who feel like their work has hit a plateau, need. In this experiential training, we reach far outside of classic mediation training and work with the counter-intuitive. The course introduces and practices the tools that CounsMed Professionals draw which allows them to function at a higher level, including administering Persona Profile Analysis, understanding some of the psychology of conflict and manipulation, and raising psycho and behavioural analysis levels and effective use of professional instruments all to help make an impact in their practice. Organisational Heads, HR Executives, the Clergy, Traditional Rulers, Politicians, Managers, Counsellors, persons who have acquired certificates in ADCR Advance level or related fields of study etc.